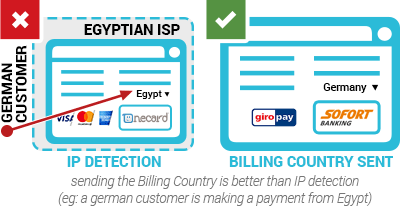 Do you want to implement our payment solution on your website as quickly as possible? Our Integration Roadmap will help you understand how it all works. Follow the next steps in order for you to be ready to go live and to use our payment solution! We recommend you to complete all the steps in order without skipping any step. Each completed step will get you closer to a full integration of your site with our platform. In order for us to track your integration progress you should login into your account, or if you don't have an account yet register an account. Playground transactions are sample transactions that help you understand how our API works and which payment flow is the right one for you. If you haven't completed the playground transactions please go to Playground to try out 3 different payment experiences. Upon the creation of your documentation account we have created for you an Integration Site so you can start generating demo transactions. When initiating demo transactions, the system will plug into our REST API, so that you could see how to make a request to REST API and how the API responds. Initiate Demo Transaction. Upon the creation of your documentation account we have also created for you a Dashboard account, with the same user name and password. GlobalPay Dashboard account is your tool to see reports about your transactions and also to manage your sites. Access Dashboard Account to view the reports of the 5 transactions you completed. You will only have to create the appropriate scripts for the Notification URL and update Integration Site with your URL. Access Dashboard Account in order to setup your own Notification URL. Your test environment will receive payment notifications from our payment gateway for the transactions that you finalized correctly. Your Notification URL will also be checked to respond to a simple HTTP call (file/route exists and responds with HTTP code 200 OK). In order to receive the notifications correctly: 191.233.81.170, 191.233.83.183, 191.233.80.64, 191.233.86.224, 104.40.147.119. For our system to be able to check your Notification URLs: 104.40.129.119, 104.40.129.252, 104.40.130.52, 104.40.130.72. You should be able now to complete a transaction from your own system using your Notification and Return URLs. For more information about Notification URL and Return URL go to: Redirection status vs. Notification status. A fine-tuned checkout process can significantly boost your sales! Offer localized payment methods so that your customers to be able to pay using their favourite payment method. We offer over 150 payment methods in more than 80 countries. Include the billing country in POST - showing from the start the right country increases the conversion rate and makes the checkout process easier. If you are using Minimal Configuration flavor you have to pay attention not to display Smart2PayTM logo, instead create a compound logo from the payment methods the customer expects to see. Please contact support@smart2pay.com for more details. Smart2PayTM is a payment service provider not a wallet! We recommend that you process transactions in local currency. Even if you cannot do that, you may still offer local payment methods because by using GlobalPay you will benefit from dynamic currency conversion (DCC). You only have to send a valid currency. GlobalPay interface is fully optimized for mobile devices, so if your site is responsive the customer would have a better experience. Please note that this step depends on your availability and possibility to optimize your integration, and it won't be automatically completed. Please contact our support team at support@smart2pay.com for further guidance in completing this step and going live as soon as possible. Now that the integration and testing phase are successfully completed you will need to follow the next steps in order to process live transactions. You have completed the technical integration process. Please keep in mind that the features enabled at this stage are for test purposes only. In order to go live with the technical implementation of the payment methods acceptance you need to create a company account. Please click the link below to access our Onboarding platform in order to complete the company registration process.